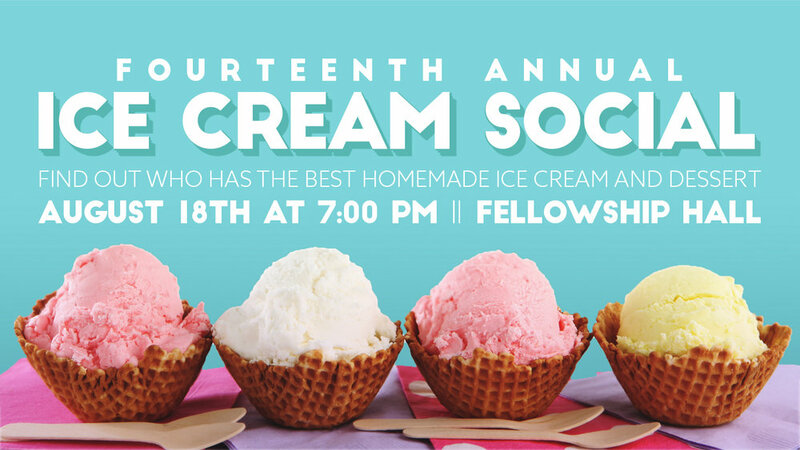 You are invited to the Fourteenth AnnualSunset Church of Christ Ice Cream Social. Come to the church fellowship hall Saturday, August 18th at 7:0 m with your ice cream prepared. If you do not bring ice cream, bring a homemade dessert. rizes will be awarded for the Best Homemade Ice Cream and Best Homemade dessert. Drinks will be provided! Please remember to invite your friends, neighbors and family to this event. It is an excellent way for them to meet our church family and for us to visit with each other. To ensure that we have enough food, everyone needs to bring something. Homemade ice cream and baked goods would be great but store bought items will work as well. For further information contact Jeff Hinson.